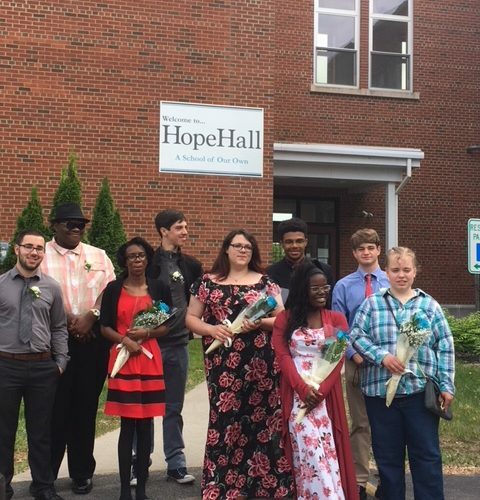 On Tuesday, June 5th, 2018, our Hope Hall School seniors attended our Annual Senior Banquet Dinner at Red Fedele’s Brook House. There are only four days left until our seniors walk the stage at our High School Graduation Ceremony on June 9th! We will be very sad to see our seniors move on from Hope Hall but excited to see them attend college, career-preparatory programs, join the workforce, and more. Thank you to GMR Associates for sponsoring the cost of the limo service to take our seniors to their banquet, ice cream desserts, and the boutonnieres and bouquets again this year. We are so appreciative of your continuous support for our students!